Change is not about revolution, as much as it is about evolution. In recent times, technology, gadgetry and internet have taken over our world by storm. Gone are the days when your publicist could make friends with a couple of journalists from select publications and channels and run his business. Now, PR is about a mass communication network. Change is writ all over the place. For a PR specialist, networking is a daily commitment, not a monthly ritual. 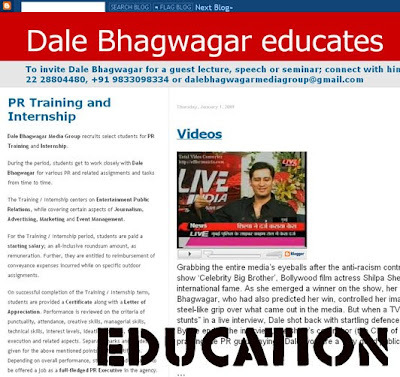 There are loads of newspapers, channels, websites and radio stations to cater to. I have a total mailing list of 2,500 journalists across India and abroad, and though it’s probably the largest mailing list amongst my fraternity, I still feel, I will double it soon. I’m often asked how much control a publicist exercises in what the journalists and public hear. Let me tell you point blank, if you are co-operative with your PR, it’s almost ninety percent control. Today, PRs decide where to break exclusive stories, what angles and news pegs to highlight, what pictures to give out and who they want to patronise for exclusive news breaks. On so many occasions, I have broken huge stories on foreign websites catering to NRIs and created extensive impact by spreading the web links, and also through newswire services on the net. Then, I have got the same story picked up by our national television channels, who have given it more importance, just because of its international web presence. This is only one little PR trick. But three years ago, this strategy would have been considered professional harakiri, as then, not many valued the impact of the internet, or trusted its content’s credibility. As Bollywood goes global, I foresee the ascent of international PR firms in our market. But like that of star secretaries (Rikku Rakesh Nath continues to be a success, inspite of several so-called ‘celeb-management’ firms having cropped up); PR too is a personalised job. A ‘client servicing’ rep from a corporate agency cannot understand the moods, ambitions, insecurities and temperaments of our Bollywood stars. But a personal and dedicated independent PR or agency can. So the independent (read indigenous) PRs and the relatively smaller agencies are going to have a better grip on the industry’s propaganda needs, as they also bring in the element of trust, faith and secrecy in their dealings and day to day workings. Any celebrity definitely needs this kind of security and discretion, which the big agencies mostly lack in. Talking about changing times, one can’t ignore the trend of blogging. I feel, blogging is a good and creative habit for many, BUT NOT FOR BIG STARS. For them, it could turn a PR blunder in the long run. See, in today’s times, there is already an overflow of information and news from all quarters. If you are not a celebrity, not many are interested to read what you update on a daily basis. If you are Amitabh Bachchan, you end up making your daily comments and feelings ‘commonplace’, and can even face the risk of diluting the all-important ‘aura’ because of it. Celebrity blogging will be the in thing for a few more years, and then its shine will begin to diminish. 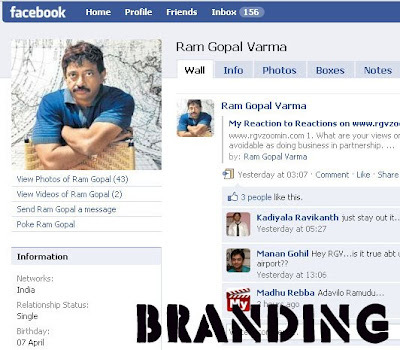 Though, it will continue to have a lot of scope for film promotion, for consolidating the branding of film-makers (Ram Gopal Varma is a wise man to have understood this soon), product or company promotion, and for teaching. As of now, these areas haven’t been properly explored by bloggers.